Gorgeous and spacious mountain home on 35 acres!!! You'll be able to bring the whole family and all of your friends to this beautiful property! Three levels with bedrooms on each for lots of privacy. Large gathering spaces on every level as well. The kitchen is a chef's delight with several islands and lots of work surfaces. Several eating spaces provide plenty of room. 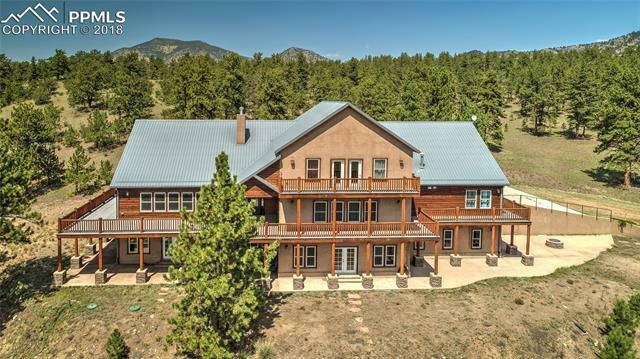 Almost every room in this fantastic home walks out onto a deck or covered porch so that you can enjoy Colorado's great outdoors in every season!